The fluorescent lights can use higher-quality electronics to avoid high-frequency flicker, which can create an eye strain during prolonged use. Cheaper technologies do not take this into account. Yet eye strain in the workplace can lead to serious side-effects, from headaches to injuries. Just because of the wrong choice of element in the luminaire. The most important part is of course the light source itself. 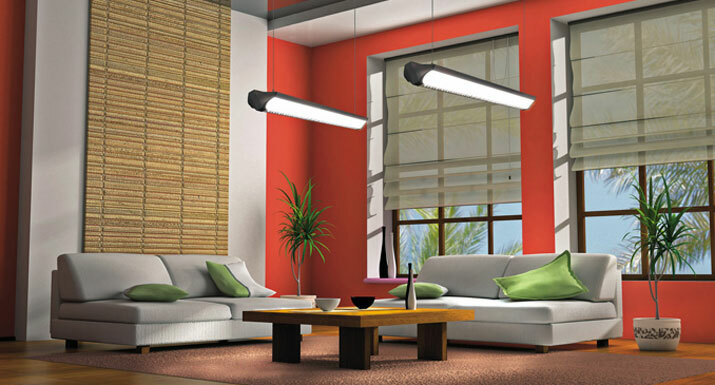 Incandescent or fluorescent lights are ubiquitous already and LED lights are slowly getting recognized as well. In OMS we see them as an important future light source, able to save energy while providing light of the desired quality. The innards of different luminaires, while using the same basic technology, are not created the same. The fluorescent lights for example can use higher-quality electronics to avoid high-frequency flicker, which can create an eye strain during prolonged use. Cheaper technologies do not take this into account. Yet eye strain in the workplace can lead to serious side-effects, from headaches to injuries. Just because of the wrong choice of element in the luminaire. The most important part is of course the light source itself. Incandescent or fluorescent lights are ubiquitous already and LED lights are slowly getting recognized as well. In OMS we see them as an important future light source, able to save energy while providing light of the desired quality. LEDs are not just a novelty unable to compete with other sources regarding the quality of light. The new technologies are improving the LEDs in a rapid pace. The top-line LED luminaires can provide theatrical lighting, alone or in combination with more traditional light sources. They are able to correctly render skin tones and red tones, the two significant factors of quality light source. Light source is not the only functional element in the luminaire. The alternative can be movable parts inside the luminaire, which reposition light sources to create different effects or light temperatures which would suit different conditions as necessary. In OMS we are now developing a technology that would provide this flexibility without any internal moving parts, simply by arranging and switching different light sources inside the luminaire. All these elements, which first and foremost there are to provide a demanded function, also have to be thoughtfully designed – the switches have to be accessible, the mounts have to fasten tightly and securely, but should be easy to reach and undo when they are to be adjusted. The light source housing should be protected from the environment yet relatively easy to open for maintenance purposes. In a perfect design, all these functions are taken for granted and self-explanatory with the client intuitively understanding them. In these cases, the design does not get into the way of the function, but aids and simplifies it.